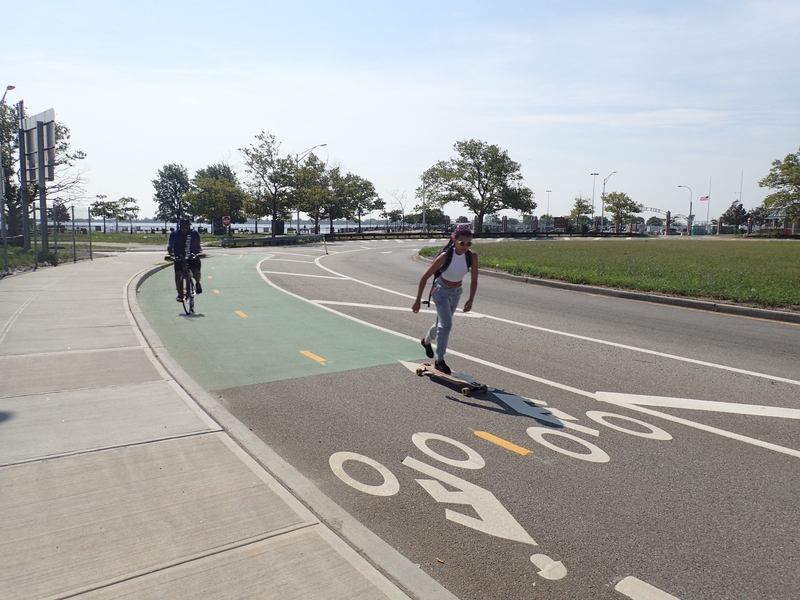 Check out the Queens East River Greenway and Vernon Boulevard’s awesome new seperated path. On May 7th, DOT proposed improvements to the Manhattan Waterfront Greenway to Community Board 6. The new connector will improve access to and from the Greenway at East 37th Street, where there is currently a break in the Greenway before it resumes at East 60th Street. At last night’s Community Board 6 Transportation Committee meeting, DOT presented a proposal to extend the Brooklyn Waterfront Greenway from Van Brunt Street to Valentino Park, providing access to the waterfront at Atlantic Basin. The Brooklyn Greenway Initiative will host a benefit to support Hurricane Sandy recovery on November 12. Triathletes come to the Greenway! BWG is the new BQE! NYC DOT launched the Brooklyn Waterfront Greenway Project in November 2009 in an effort to formalize a community-lead initiative for a 14-mile multi-use path stretching from Newtown Creek to Owl’s Head Park.